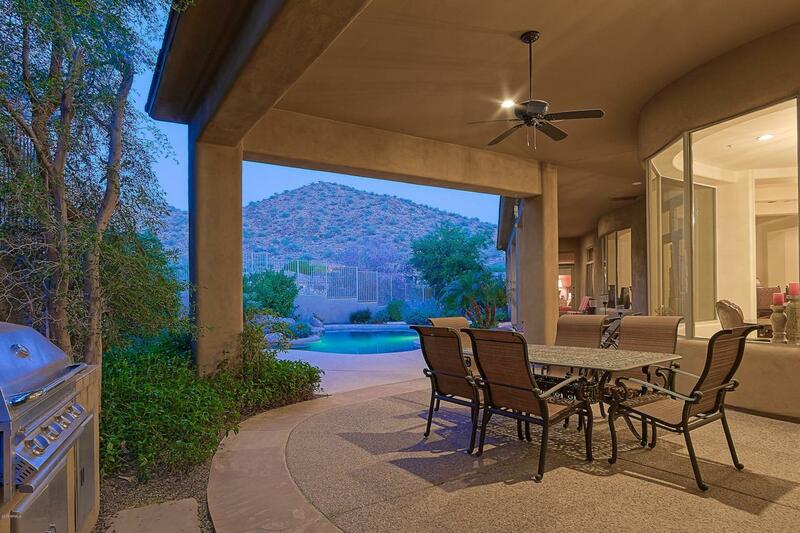 Gorgeous 3 bed, 3.5 bath + den w/ priceless mountain views nestled in the foothills of Scottsdale Mountain. Double wood/glass doors welcome you into luxury w/soaring coffered ceilings & wall of windows in huge family room w/ fireplace & wet bar opening up to the chef's kitchen, making it perfect for entertaining. Kitchen boasts granite counters, large island, SS Dacor, Asko & GE appliances, double ovens, breakfast nook & 200 bottle temp. controlled wine closet. Master retreat features dual walk-in closets, split vanities, oval tub & snail shower. Two addit'l bedrooms w/en suites. 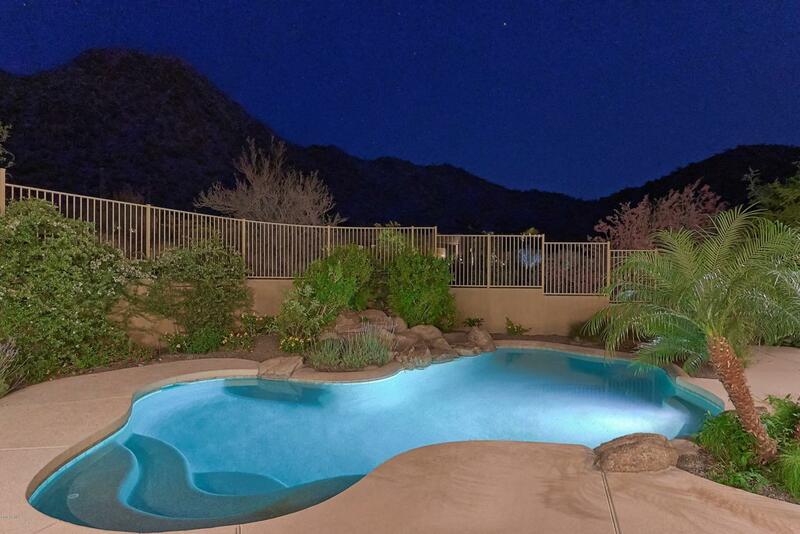 Continue to be wowed when you step out back to the sparkling pool, boulder waterfall & BBQ. 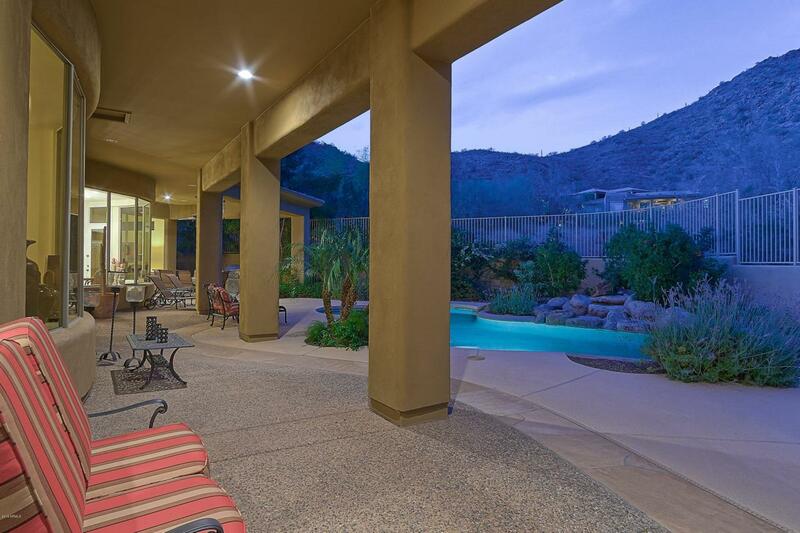 This hillside lot is private w/ great views & shows like a model! Furniture available w/ a separate bill of sale!